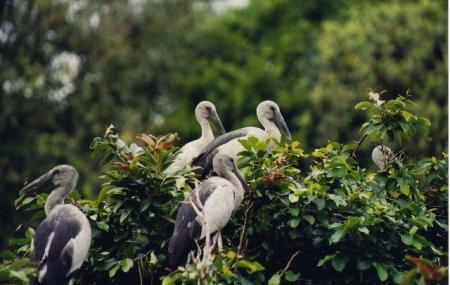 Biligiri Rangaswamy Temple Wildlife Sanctuary is a is a protected area and sanctuary under the Wildlife Protection Act. The forests around the temple were set up and consecrated as a sanctuary. It has a whole lot of endemic species, dry deciduous forests, moist deciduous, evergreen and semi-evergreen and a whole lot of medicinal plant species. This sanctuary is home to a whole lot of wild animal species, birds, reptiles and 110 unique species of butterflies. The place has been open for worship for over 500 years now. This is a wonderful ecosystem with natural affluence of the surrounding flora, fauna and culture. It is an amazing combination of hills, grasslands and ridges. It is an excellent place to spot a large variety of the most exquisite animals. Apart from the fauna, a large variety of flora is also to be found here. The other activities in the Biligiri Rangaswamy Temple include Trekking, amateur fishing, professional angling, coracle boat rides, bird watching, river rafting and outdoor camping. Wear comfortable shoes while walking. The forests have a whole lot of wildlife lurking. Watch your steps. Try not to disturb or encroach upon the natural territories of the wild much. How popular is Brt Wildlife Sanctuary? People normally club together Needle Rock View Point and M And N Chocolate Museum while planning their visit to Brt Wildlife Sanctuary.